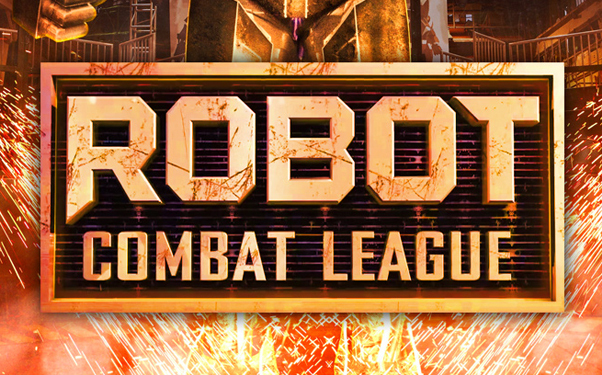 If you haven’t been watching, Robot Combat League is SyFy’s new reality TV gameshow. 12 teams are tasked with operating their assigned robot to fight a rival teams robot. The fights are single elimination, and the team that makes it to the end will leave with a $100,000 cash prize. Teams consist of a “robo-jocky” (an operator who controls arms and upper torso), a “robo-tech” (an operator who controls legs and movement). The show has been compared to “rock-em sock-em robots” and the movie “Real Steel.” For the most part I’d agree with those assessments, however not having seen Real Steel, I’d say it’s probably the first steps towards a goal of “Real Steel”. The rock-em sock-em robots comparison I wholly agree with. It’s not all robot fighting. In-between fights the show goes over the science and engineering behind the robots, along with the strategy and training of the contestants. Honestly though, I could do with less of the reality TV aspect of the show and more focus on the fighting robots. I haven’t seen much in the way of advertising for this show except for in-network ads. Which is somewhat surprising to me, because just the idea of watching robots battle would have me tuning in. I actually had to depend on word of mouth to have this show pop up on my radar. I’m interested in how the season will end and how Robot Combat League will evolve with future iterations. I hope they will allow for team modifications of robots, or completely team built robots. I think the show is a great platform to increase interest in technology and engineering and It would be interesting to see how the show impacts interest in those fields. This show is AWESOME! So many killer fights – can’t believe these robots are real! The future is here, and I’m loving every second of it. totally agree, the reality drama got in the way of the fights for me. I just wanna see giant bots pummel each other!